The Master Arm + Clamp Kit enables mounting on any round or flat surface from 1/2 – 2.1" in diameter or thickness. Arm is compatible with Baby 5/8" (16mm) receptor. 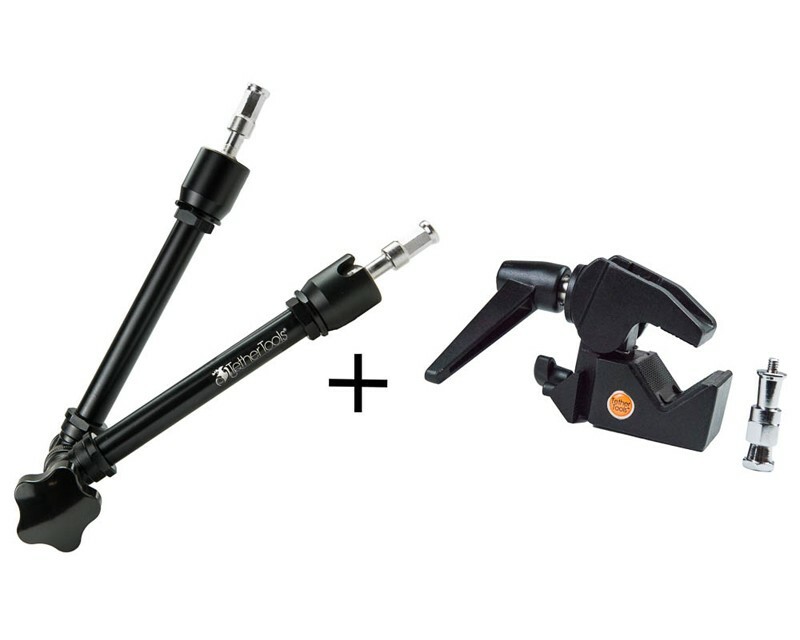 Clamp features Baby 5/8"(16mm) Socket for use with of a wide variety of attachments including the Rock Solid Double Articulating Arm, Camera Platform, Rock Solid Aero Elbow , Baby Ballhead Adapter and more. Clamp has built -in 1/4"-20 threads for mounting smaller Rock Solid Articulating Arms. Clamp features a non-reflective black finish and metal lift-ratchet style handle for tightening in confined spaces. Clamp includes 5/8"(16mm) Baby stud, with 1/4"-20 male thread insert.